It’s getting warmer in our area, and many people are starting to go outside. But, on those nights when it cools down, people rush inside because it’s still too chilly to enjoy the beautiful night sky. But wait! That’s not necessarily the case. 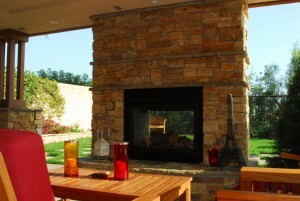 Outdoor fireplaces are definitely an option to enjoy being outside on your back porch and still enjoy nature. Better Homes and Gardens has some great ideas for you. Even if you don’t already have one installed, there are plenty of options. 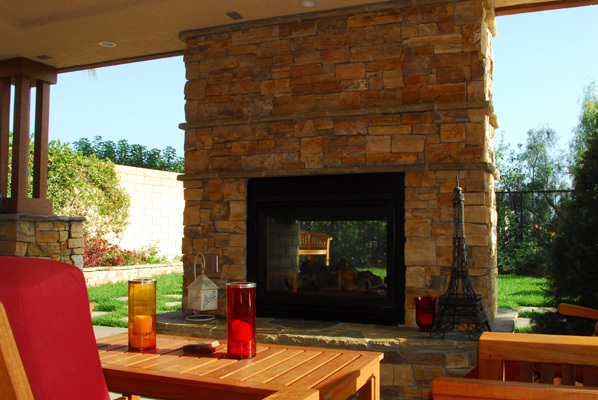 Outdoor fireplaces come in materials such as brick, stucco and stone. Give that area of your house a more cozy look by putting extra tables and chairs around the fireplace. It’ll make it feel like another living room. You can also put up another mantle just as you would to an indoor fireplace. By doing so, you add extra space to place more items such as pictures, greeting cards or your kids’ trophies. Make it blend in with the rest of the house. You can do so by painting it or using the same material used for the surrounding area around the fireplace. The Powell Group invites you to explore different styles that fit your home and to get advice from local experts in your area. Our team members are here to answer all of your housing questions and concerns.